For more from Emily’s party – including a rainbow drink station that was a huge hit with the kids! – check out Sarah’s blog. You can also find lots more rainbow party ideas here. Reposted with permission from Sarah of Sweet Art Bakery (McKinney, Texas). Shop for personalized rainbow theme party paper goods and printables here. 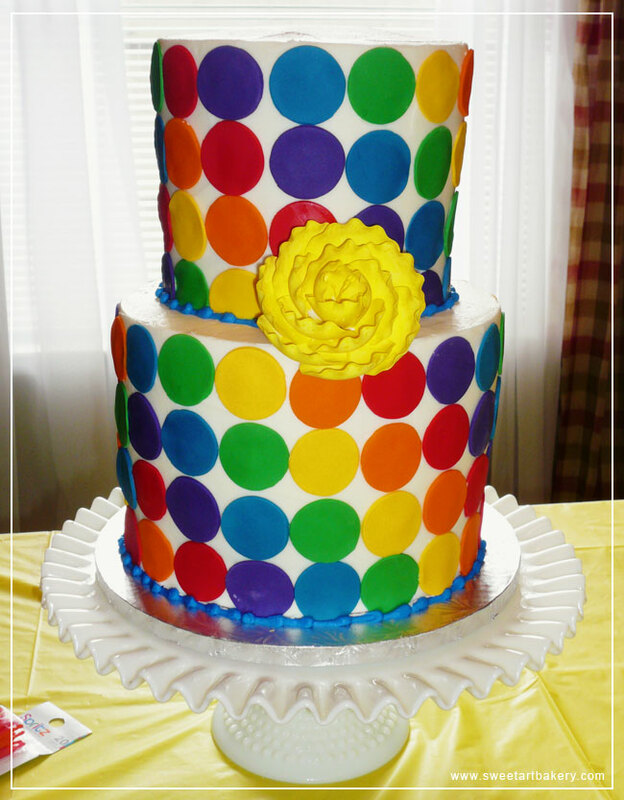 Or, check out more rainbow theme party ideas on Pinterest or here on my blog! Love the colorful polka dots! Hi Beth! I'm not sure how large Sarah's baking pans are. The bottom looks like it might be about 9 inches?